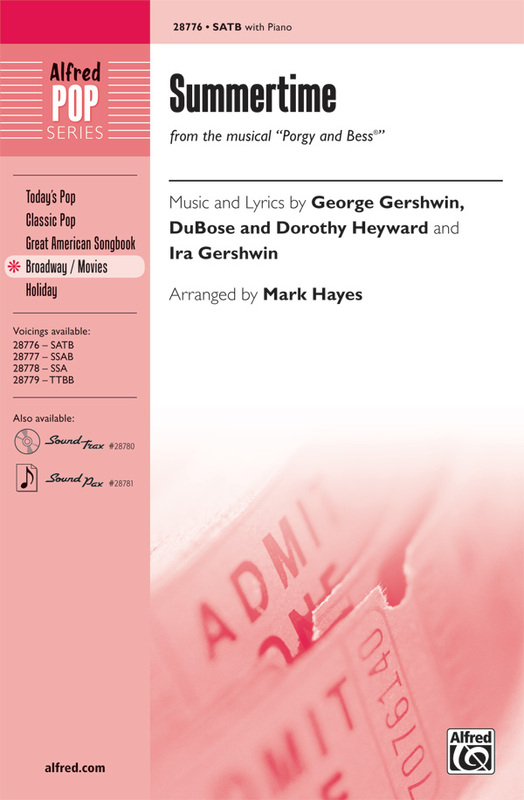 Porgy and Bess is a 1959 American musical film directed by Otto Preminger. It is based on the 1935 opera of the same name by George Gershwin, DuBose Heyward, and Ira Gershwin, which is in turn based on Heyward's 1925 novel Porgy, as well as Heyward's subsequent 1927 non-musical stage adaptation, co-written with his wife Dorothy. 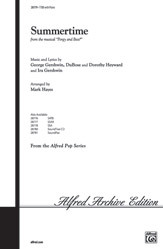 The screenplay for the film, which turned the operatic recitatives into spoken dialogue, was very closely based on the opera and was written by N. Richard Nash. The project was the last for Samuel Goldwyn. Due to its controversial subject matter, the film was shown only briefly following its initial reserved seat engagements in major cities, where it drew mixed reviews from critics. Two months after its release, Goldwyn grudgingly conceded, "No one is waiting breathlessly for my next picture." In 2011, the film was chosen for inclusion in the National Film Registry of the Library of Congress. 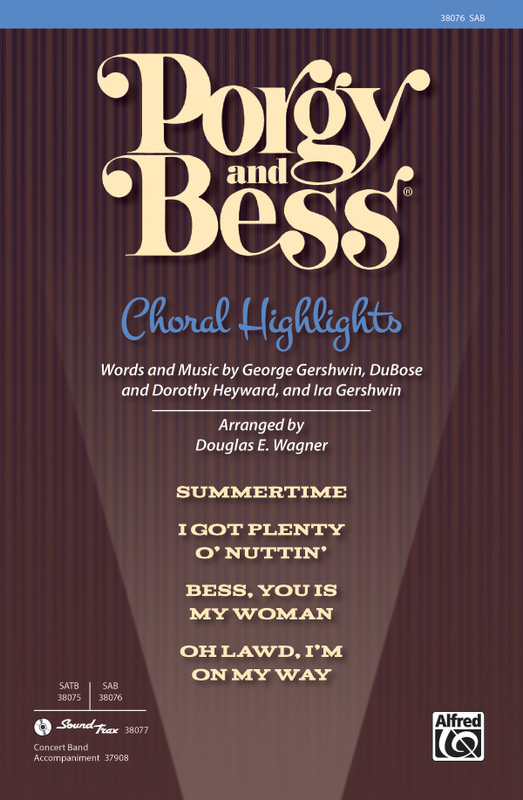 Enjoy historical photos supplied directly from the Gershwin estate and a dozen of the best vocal selections from Porgy and Bess, all professionally arranged for piano/vocal and complete with detailed information on the musical as well as each song in this classic collection. Titles include: Summertime - A Woman Is a Sometime Thing - My Man's Gone Now - Leavin' fo' de Promis' Lan' - It Take a Long Pull to Get There - I Got Plenty o' Nuttin' - Bess, You Is My Woman Now - It Ain't Necessarily So - What You Want Wid' Bess - I Loves You Porgy - A Red Headed Woman - There's a Boat Dat's Leavin' Soon for New York. 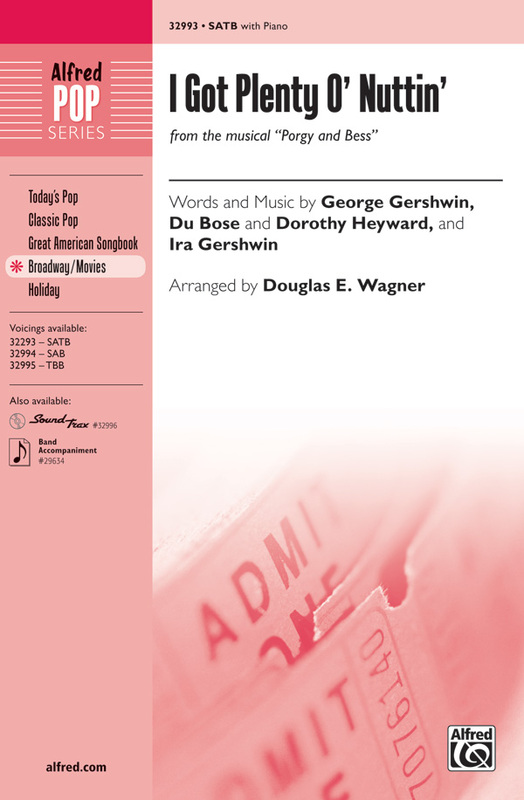 One of the most treasured songs of all time, Gershwin's highly evocative writing mixes elements of jazz with artsong to create a masterwork of the 20th century. This tasteful choral setting weaves the melody through different voices with wordless choral textures, forming a rich backdrop of sound. Starting rubato, a full dynamic range and a dramatic piano accompaniment add to the emotion. This classic American song from Porgy and Bessae deserves only the finest choral treatment, and Mark Hayes has certainly given it that, with a rich, lush setting. The piano accompaniment carries the voices on a dramatic journey appropriate to the nature of the piece. A song that every singer should know and will love. 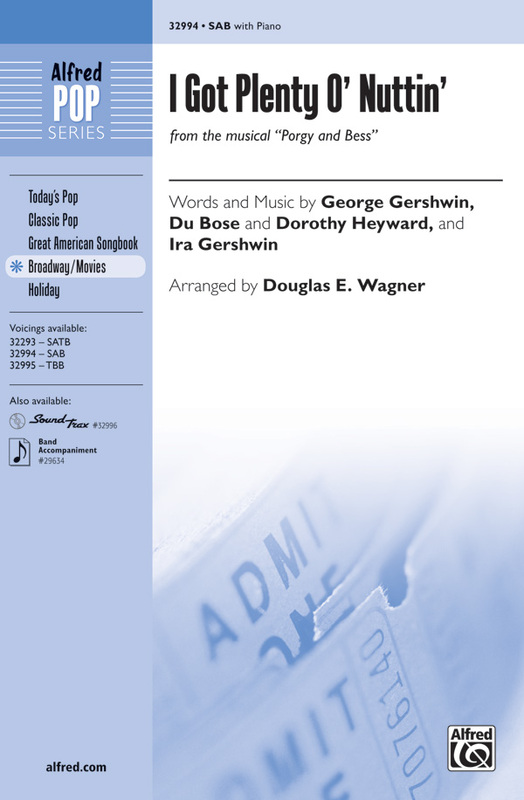 This classic American song from Porgy and Bessae is given a fine, dramatic choral treatment by arranger Doug Wagner. Optional Concert Band accompaniment available. 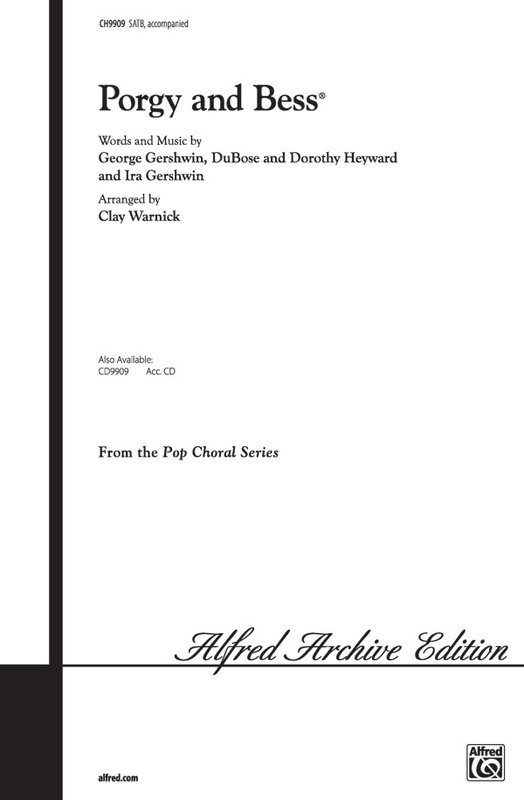 We re-engraved this classic so your choirs today could sing the consummate choral setting of the wonderful music from Gershwin's Porgy and Bess. Clay Warnick truly one of the masters of arranging. Displaying 1-18 of 18 items. The classic Ed Lojeski choral setting of Gershwin's famous Porgy and Bess is once again available! Masterful choral writing, opportunities for solos and colorful scoring make this a wonderful option for school and community programming! This 12:45 medley includes: Bess, You Is My Woman; I Got Plenty o' Nuttin'; It Ain't Necessarily So; My Man's Gone Now; Oh Lawd, I'm On My Way; Summertime. 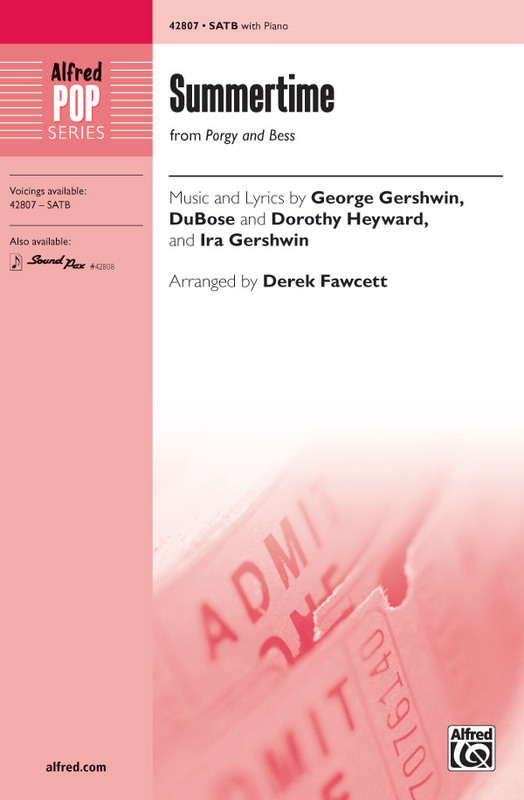 This classic Gershwin musical score has been given a fine, dramatic choral treatment in this stunning medley, celebrating the show's return to Broadway late in 2011. Optional Concert Band accompaniment is available. Approximately 4:45. Challenging harmonies and rhythmic passages have helped make this vocal jazz setting of the Gershwin standard a favorite. This Gershwinae classic from Porgy and Bess truly comes to life in this exceptional new choral arrangement by Russell Robinson. While it is not without its challenges, this Broadway concert piece is well worth the effort to prepare.